Boracay is one of my favorite destinations in the Philippines. I enjoy going to the island because it is one of the places that I find easy to go when I want to take some vacation or spend a quick getaway. In fact, it has already become a habit of mine visiting the island at least once a year. And although I already stayed many times in Boracay in the past, visiting it is still an exciting experience. Just like how excited I was when I spent a weekend last month together with some of my friends. 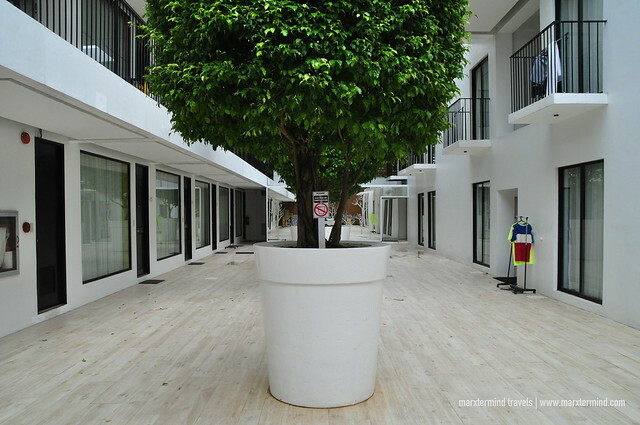 We stayed at The Tides Boracay Hotel, which is why we were also excited about this vacation. I was always been curious about The Tides Boracay. It is located in the heart of D*Mall so if you’re familiar with the place, then you had probably come across this hotel. It has a small entrance that actually made me interested to know what’s inside this property. So when I had the opportunity to finally stay in this hotel, imagine my excitement. The Tides Boracay is a modish hideaway offering exclusive vacation experience. Once you enter the hotel, you’ll probably wonder how this property manage to keep the exclusivity despite of its location in the heart of the island. From the busy D*Mall, inside is a different scenario. The hotel has a private and tranquil atmosphere. I felt impressed. It was early morning when we arrived in Boracay. We were glad that the hotel was able to accommodate us even though it wasn’t the standard time for check in yet. 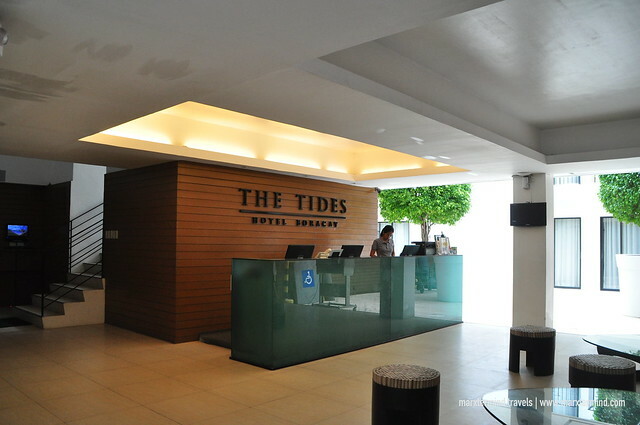 The Tides Boracay Hotel has two types of accommodation; namely, Essential and Exceptional. The first one is a superior room while the second one is a première type. We stayed at the Exceptional Room. Check room rates and availability here. The room was spacious with two queen beds. It has air-conditioning. It also has a bathroom with a separate toilet area. The bathroom also has a bathtub. 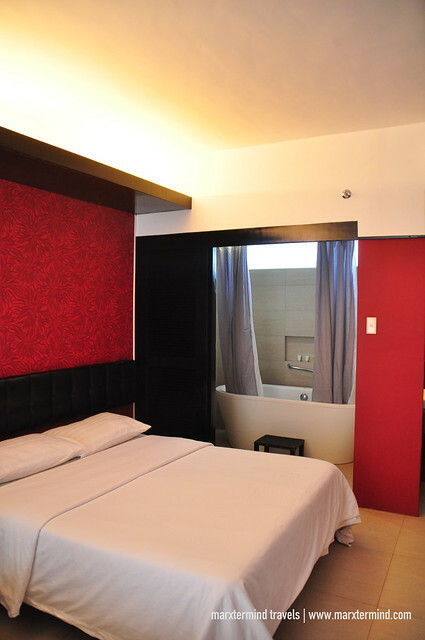 Our room also has the following amenities such as LED TV with cable channels, safe deposit box and mini-bar. The room has a minimalist design. It looks pleasantly simple and has all the basic amenities that we needed to enjoy our stay. Our room was cozy and homey. We stayed most of our time at the resort – laze around and surrendered to our bed’s comfort. We almost forgot that there’s a beach outside. It had become a staycation in Boracay. Well, that is actually the vacation that we wanted. 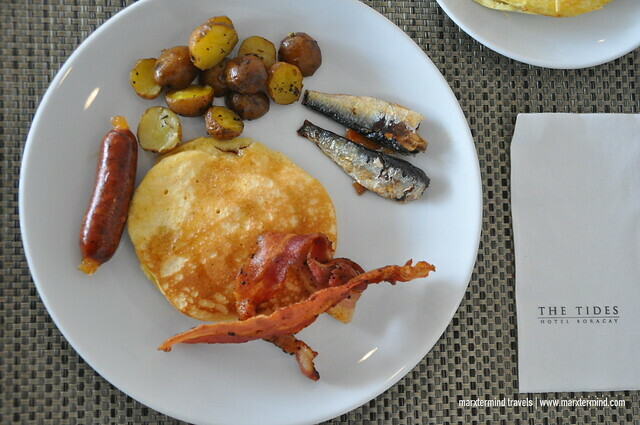 The Tides Boracay Hotel serves complimentary breakfast buffet for staying guests. The buffet spread consists of local breakfast favorites. There were Filipino breakfast, salad, pastries, breads, cereals, soup and some beverages. This is one of the breakfast buffets that I enjoyed a lot. They have the best congee that I’ve ever tasted. 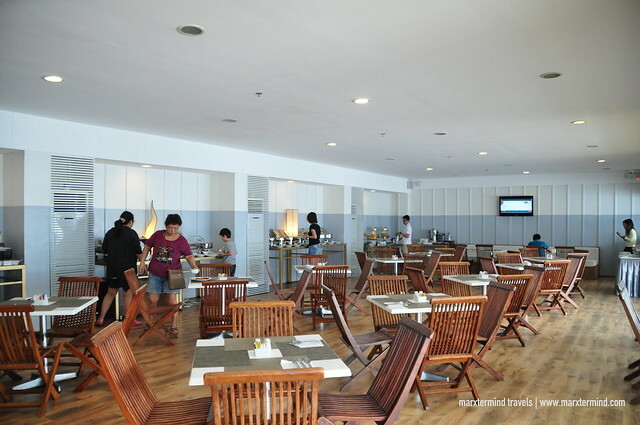 The resort serves the breakfast buffet at their in-house restaurant at the rooftop of the hotel, Ka-on Restaurant. It is also a Filipino restaurant offering delectable regional dishes using locally sourced produce cooked in the traditional style. The restaurant is also open during lunch and dinner. It was during dinner when were able to try some of the à la carte dishes. 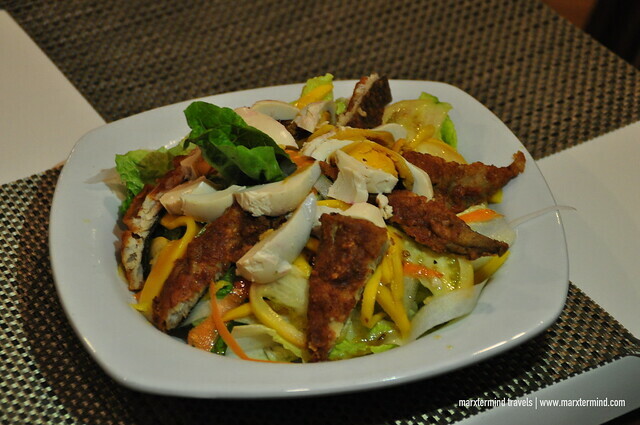 We had Tilapia Fillet Ensalada, Laing with Pork Cracklings, Rellenong Alimango and Bagnet Pakbet. 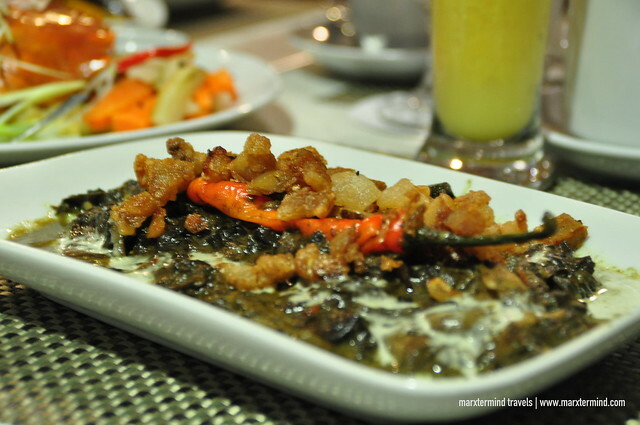 We were also able to enjoy the restaurant’s unique offering, the Boodle Fun Feast. It was during lunch when we experienced this military style dining. 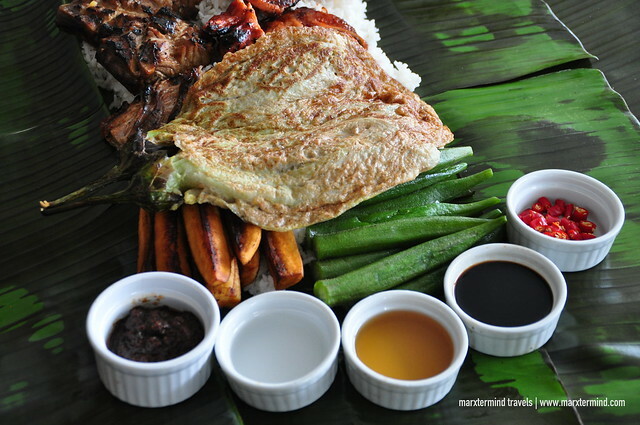 Boodle Fight or Feast is where all the foods are piled into one big tray or banana leaves in this case. Different dishes and rice are ready to eat using bare hands. A jug of water is also on the side to wash hands before the “eating combat”. 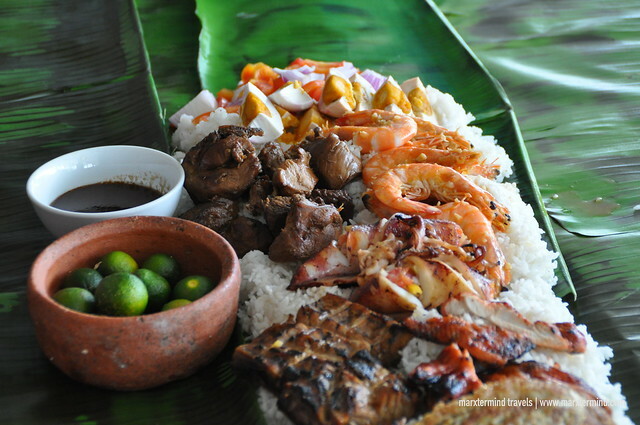 There are three choices for Boodle Fun Feast. Price starts from Php 1,800. Ours is good for 6 persons. It includes dishes like grilled tuna belly, tortang talong, salted egg, ensalada, chicken and pork adobo, squid and shrimp. 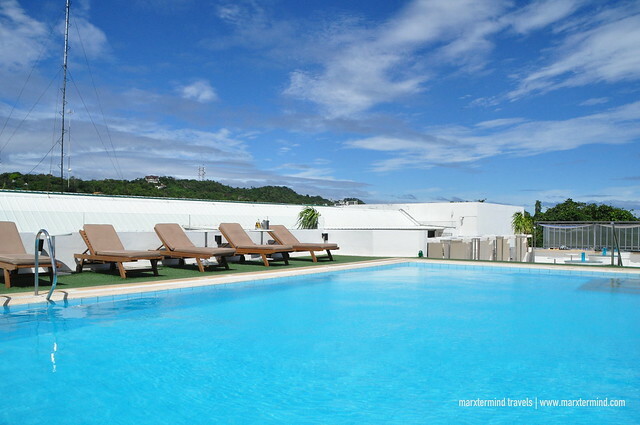 The Tides Boracay Hotel also provides array of facilities to enjoy. Aside from the restaurant, the resort also has a fitness center, a spa and a roof deck lounge and bar. The roof deck lounge bar is one of the most spectacular spots in the resort. 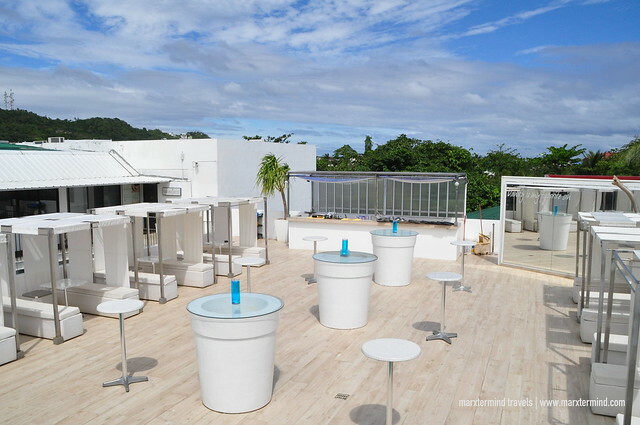 This place is Boracay’s first roof deck chill-out bar and bistro. It has a pool and cabanas. The rooftop lounge also features a panoramic view of the entire island. It was a pity though that we weren’t able to take a dip in the pool. Well, the weather was too cold that time and you couldn’t blame us. We just lounged in the area instead and enjoyed taking pictures and having our selfies. The resort also offers the following services such as 24-hour front desk and security, luggage storage, function room and meeting facilities, laundry and room services, and shuttle service (with surcharge). The resort also provides complimentary Wi-Fi that is accessible in all areas. Our stay at The Tides Boracay Hotel felt so quick. It was too hard for us to leave the resort because we enjoyed our vacation a lot, or I must say we enjoyed our stay because we spent so much time sleeping. But seriously, we enjoyed our time at The Tides Boracay. We love the hospitality and the ambiance. We felt relaxed and enjoyed the facilities and food. Indeed, we had a pleasant stay at The Tides Boracay with all the conveniences and comforts to enjoy our vacation weekend. Previous story How to Visit Shifen and Jiufen in One Day? Wow! You had a nice hotel. Their food also looks nice and delicious. I’m sure you had a good time.